Professional athletes are no strangers to substance abuse. It has been a long-standing part of the profession, whether the player’s vice of choice be smoking, drinking, using steroids or indulging in illicit drugs. Cocaine and coca leaves, in particular, have been used by athletes since at least the late 1800s. The stimulant has turned up time and again in the hands of professional athletes. Josh Hamilton, an outfielder for the Los Angeles Angels, has recently come under disciplinary trouble from the MLB authorities, due to a drug relapse he reportedly had recently. Back in 2004 to 2006, he was suspended from the minor leagues because of issues related to cocaine and alcohol abuse. However, he was clean from then until recently. He has now admitted to going on a binge of cocaine and alcohol a few months ago, and is waiting to learn what kind of disciplinary action the MLB will hand down to him. 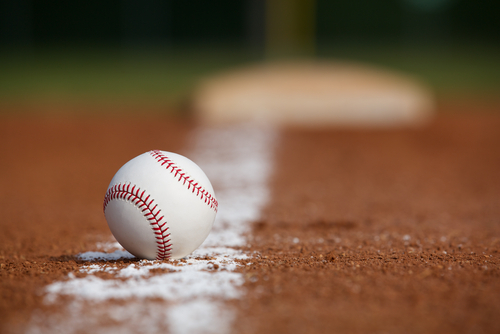 With the drastic increase in the timing and thoroughness of drug testing now done on MLB players, it’s no surprise that not only steroids, but any illicit drug use, would be found out sooner than later. (They now have drug tests so precise that performance enhancing substances can be detected two weeks after they’re consumed.) Hamilton will face some kind of penalty, though it hasn’t exactly been determined yet. Because his prior drug issues were when he was in the minor leagues, this infraction could be considered his first. Still, penalties are stiff even for a first infraction. A player’s first-time drug violation will get him suspended for 80 games, and a second violation will result in a 162-game suspension. The penalties are so harsh because of the long and eventful history of drug abuse in the major leagues. For the purpose of this article we will focus only on cocaine, as trying to cover every drug issue would be far too involved. Though there had been numerous situations involving cocaine scandals prior to the “Pittsburgh Drug Trials,” they were a rather spectacular series of events in 1985 which showed just how far cocaine had infiltrated the Major League scene. A couple of cocaine dealers were put on trial, which wouldn’t have been that big of a deal except for the fact that many witnesses were pulled from baseball teams. The players’ testimony revealed that one player bought cocaine in a bathroom stall at one stadium. Another ran out in the middle of a game so he could do some cocaine before continuing to play. One of the dealers being prosecuted in the case was the Pittsburgh Pirates mascot. When this case occurred, none of the players were prosecuted for their role in the scandal. After this scandal occurred, weak drug testing regulations were implemented, but they were ineffective for several reasons. Because these regulations were so ineffective, they were dropped out after a few years. Real drug testing wasn’t implemented until around 2002, and has steadily increased in strictness since then. In the meantime, cocaine scandals kept coming back. The more recent issues with performance enhancing drugs have outshined cocaine, but it’s still been there in the background. In an article published by Bleacher Report, Dan Levy made an interesting point. Perhaps the reason why cocaine keeps coming back in baseball is because any stimulant can increase a player’s effectiveness during the game. Where steroids and other performance enhancers will eventually increase a player’s ability to heal muscles and to recover after exertion, cocaine is fast-acting and will produce a feeling of increased alertness and energy. This makes it the perfect drug for pre-game dosing.